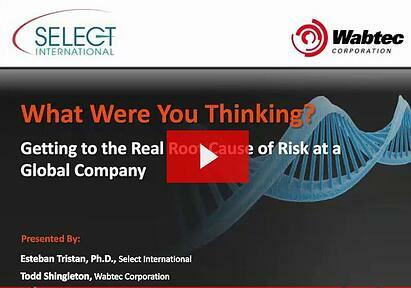 On June 24th, 2015, we held a safety webinar: What Were You Thinking? Getting to the Real Root Cause of Risks at a Global Company. By the end of the webinar, we had plenty of great questions and comments. Unfortunately, we ran out of time before being able to answer all of those questions. But there is some good news, we took note of all of the questions we didn’t get to, and decided to answer them after the fact. The questions and answers are below. Even if you didn’t attend the webinar, you will find some interesting data relating to safety in the answers below. 1) In reference to your assessments, what are your validity and reliability coefficients? Whenever you use a test or assessment in the workplace, you need to make sure it actually measures what it is supposed to measure. In the assessment world, we show this by assessing the strengths of the relationship between the assessment and the outcome of interest (e.g., performance ratings, turnover, or in this case, injuries). 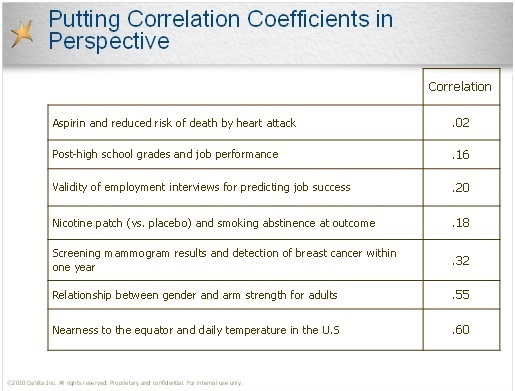 This is done by conducting validation studies where we measure these correlations and refer to them as “Validity Coefficients” because they indicate the level of criterion-related validity (i.e., predictive accuracy) of the test. 2) What is the adverse impact of your selection tool? We routinely conduct analyses on all of our assessments to continuously minimize any potential adverse impact on protected minority groups in the U.S. The safety assessments we discussed in our webinar, including SecureFit, which is used for selection purposes, have never been found to have any adverse impact on any minority group. Furthermore, it shows near-zero (minority vs. majority) group differences in average scores and pass/fail rates, even in datasets of thousands of applicants across the variety of industries. In other words, the likelihood of adverse impact occurring is negligible because minority and majority group members tend to have very similar test results. We accomplish this by using test content that is always highly job-relevant, incorporating assessment methods that are shown by research to minimize adverse impact, and continuously improving our test content to increase accuracy and fairness. 3) We saw the statistics for Wabtec using your assessments and programs. Are your statistics with other companies similar? On the selection (pre-hire) side, yes we have similar results from other companies where we have helped reduce injuries and workers compensation claims over time through our safety pre-hire assessments. Our safety programs for development are newer than our selection tools, therefore we have somewhat limited client results for those tools as we are still collecting data on clients currently using the programs. However, of the companies who have used our full programs for existing employees for at least 6 months, over half of them have seen significant reduction in injury metrics such as TRIR, number of recordables, or lost days due to injury. In contrast, none of them have seen any significant increases in injury rates since implementing the programs. These companies are from various types of manufacturing sectors, as well as the petrochemical, transportation, and heavy equipment maintenance. 4) What is the implementation process like for the safety training programs for front-line leaders? Our implementation process can vary depending on the needs, situation, and structure of the company we are working with. 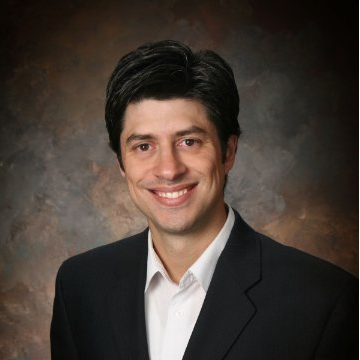 All solutions are client-focused based on the situation, but critical aspects that we utilized in most projects are: measuring Safety Leadership profiles through validated assessments, providing training and skills development to leaders, and coaching them on their unique strengths and blind spots in order to reduce the risk to their team members. 5) Does Select International offer ebooks or whitepapers on the topic of SafetyDNA? Absolutely. We have multiple whitepapers on the topic of SafetyDNA that cover the theory, research and results behind our safety solutions. We have an eBook available and are currently working on a new one that will be available very soon. If you’re interested in downloading these to learn more about SafetyDNA, visit our resource library, and browse through our eBooks, business outcomes, videos, and whitepapers.